LONDON – Vitamin C supplements are practically useless in a bid to avert colds, researchers concluded in analysis published Wednesday. Branding the widely-held belief a myth, they found that only individuals under extreme stress, such as soldiers and marathon runners, benefited at all from the supplements. 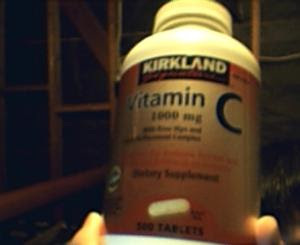 I've been taking Vitamin C supplements (Ascorbic acid) for years...sometimes as high as 1,500 mg during the cold season. All I know is, if I stop taking those pills even for two days (sometimes I forget or am too busy with assignments), I'm sure to get a cold. I'm pretty sure chicken soup will be next on these researchers' list of myths.